Detectives working on ongoing Operation Castle are welcoming the sentencing of two men for burglary. Joseph Moran, 24, of Mildmay Road, Norris Green, and James Donnelley, 20, of no fixed abode, pleaded guilty to a burglary at Windsor Road, Formby, which occurred on 7th September last year and handling stolen goods in relation to property stolen during a burglary at Barnfield Drive, West Derby, on 22nd September last year. Both were sentenced to three years and one month in prison. 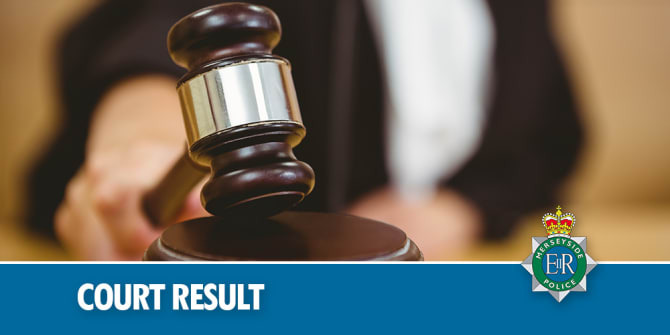 Moran’s girlfriend Jodie Symes, 26, of Pecksniff Close, Toxteth, pleaded guilty and will be sentenced on 28thFebruary for handling stolen goods in relation to the burglary at Barnfield Drive. Detective Inspector Andy McCourt said: "Operation Castle has seen significant success in identifying, charging and bringing to justice burglars across Merseyside and we will continue this work, to carry out positive action and identify those responsible and remove them from the streets. Anyone with information on burglary is asked to contact our dedicated hotline and email address on 0151 777 7926 or operation.castle@merseyside.pnn.police.uk. You can also pass information to the social media desk @MerPolCC, call 101 or you can call or the independent charity @CrimestoppersUK anonymously, on 0800 555 111. Nice to see that Merseyside Police are so familiar with the court sysytem that they think we use gavels in our courts. Excellent work by the Police, it’s nice to see this detritus in prison. Enjoy.